We’re looking forward to attending the 2019 Special Operations Forces Industry Conference (SOFIC) in Tampa, FL. SOFIC provides educational sessions, demonstrations, interaction with exhibitors and many networking opportunities across the SOF community. Visit us at Dock 8 to meet our team, take a test ride on our tactical yacht tender demonstration vessel and learn about the various all-aluminum vessels we build for our military and special operations forces customers. ISDEF is an event that brings the relevant decision-makers and practitioners together to enhance international strategic cooperation and dialogue. 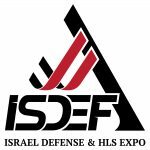 The show has the largest defense and homeland security exhibition in Israel and the only international trade show for the defense and security industry. We’re looking forward to attending ISDEF this year and sharing information about the capabilities of our military, law enforcement and patrol vessels to the experts and operators in attendance. Maritime Security West furthers a commitment to address the needs of federal, state and local agencies, law enforcement, and military to counter the challenges of securing coastlines, inland waterways, ports and critical infrastructure. We’re looking forward to exhibiting and showcasing our latest vessels for law enforcement, patrol and military applications. Firehouse Expo is a fast-growing, leading trade show and expo for the fire industry, offering all the behind-the-scenes tools, training, equipment and exposure to the ideas and inspiration firefighters need. We’re looking forward to showcasing our fire boats and related vessels at the show this year – make sure to stop by and meet our team. The International WorkBoat Show is a conference and expo for commercial vessel owners, operators and builders as well as the vendors and suppliers that serve them. Silver Ships has attended the WorkBoat Show for many years and is looking forward to another great experience in 2019. Make sure to stop by our booth to meet our team.